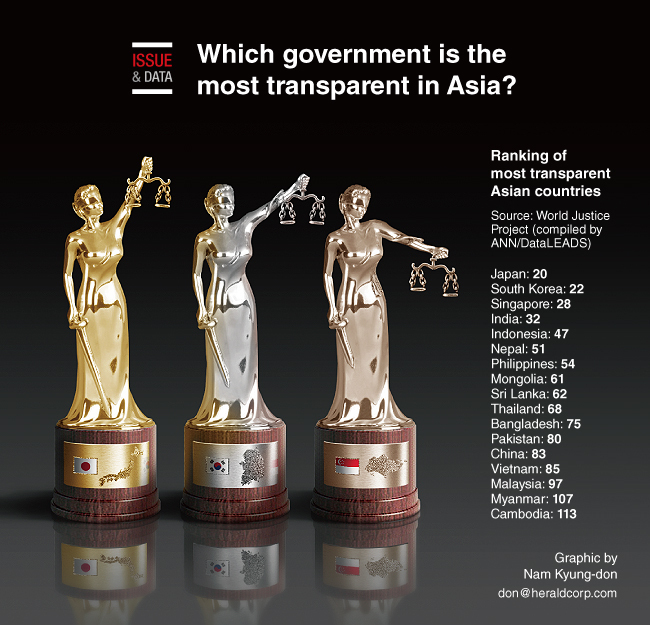 [Graphic News] Which government is the most transparent in Asia? Japan has the most open government system in Asia, according to the recently released World Justice Project. The report measures whether a country’s basic laws and information on legal rights are publicly available, presented in simple language and if there is civic participation and complaint mechanisms. It also measures if the processes by which the laws are enacted and administered are accessible, fair, and efficient. Japan is ranked 20th globally followed by South Korea which is ranked 22nd.